Phoenix Union High School District will hold its third annual Experience Phoenix Union: High School Expo, a student recruiting and school marketing fair, Saturday, November 7, from 10 a.m. to 2 p.m. at Phoenix College. The Expo date was moved up from January to coincide with the first official day of enrollment for Phoenix Union schools. Online enrollment stations will be available for those students and parents who want to apply to a Phoenix Union school that day. The event will also feature the debut of the Phoenix Coding Academy, a new small specialty school opening for freshmen next August. The Expo will showcase the many opportunities available to thousands of future high school students. Every school will have its own interactive booth, as well as specialty programs such as Career and Technical Education, Magnets, the arts, athletics, and JROTC. There will be non-stop student entertainment on stage, mascots, giveaways, prize drawings, and food. Parents and students can learn about transitioning to high school at two Experience Phoenix Union break-out sessions with student panelists at 11 a.m. and 1 p.m. The event is targeted at 6-8th graders and their parents deciding on high school, or those individuals who are looking for another high school. The first 1,000 6-8th graders will receive a free drawstring backpack. 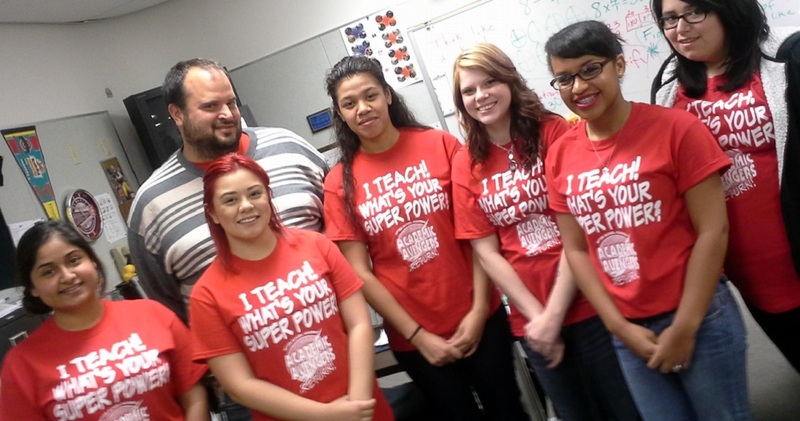 The Expo kicks off recruiting season, when Phoenix Union schools enroll 8th grade students for next fall. While most incoming ninth-graders come from the 13 partner elementary districts that operate within the 220-square mile high school district, many students take advantage of open enrollment. Over 4,000 current students attending Phoenix Union schools came from charter schools, private schools and non-partner district schools. 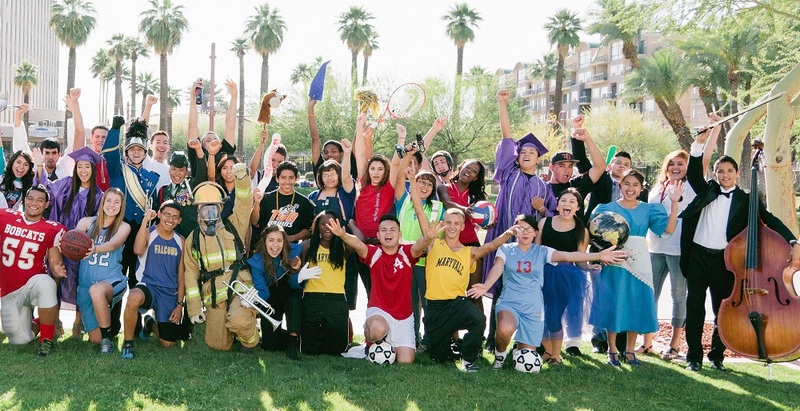 Phoenix Union has 16 high schools and this year’s enrollment of 27,429 students is the highest in 38 years. To complete the enrollment application, parents are asked to provide student birth certificate, immunization records, and proof of Arizona residency (driver’s license, utility or phone bill, etc. ); however students and parents can begin the enrollment process without these documents. 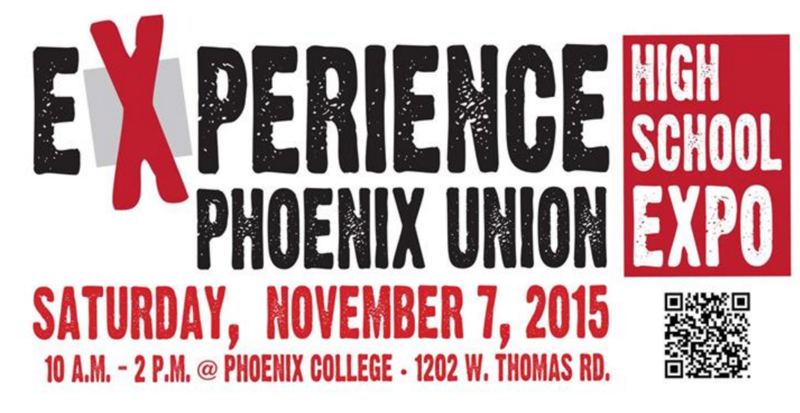 The Phoenix Union Experience High School Expo is sponsored by Phoenix College and the Phoenix Union Foundation for Education. For more information, please contact Craig Pletenik with Phoenix Union High School District at (602) 764-1530.